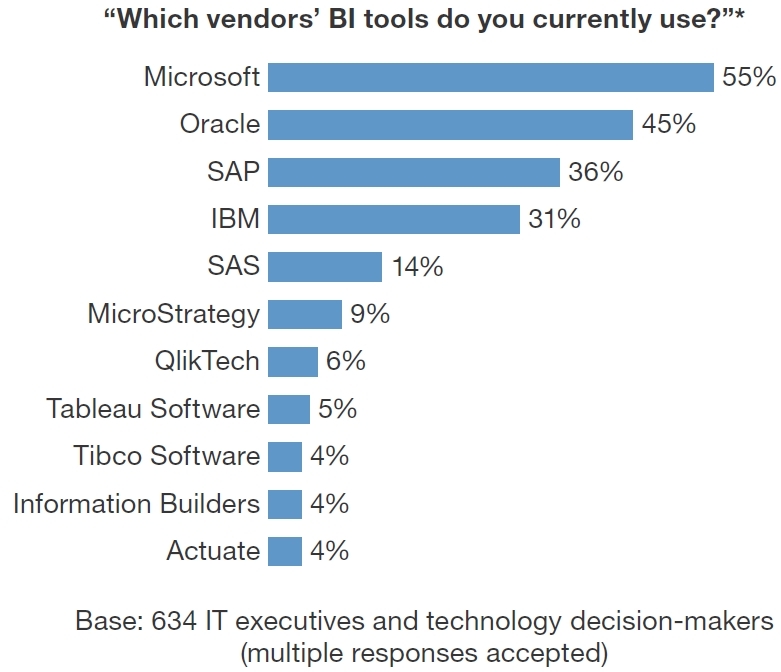 Last month Tableau and Qliktech both declared that Traditional BI is too slow (I am saying this for many years) for development and their new Data Visualization (DV software) is going to replace it. Quote from Tableau’s CEO: Christian Chabot: “Traditional BI software is obsolete and dying and this is very direct challenge and threat to BI vendors: your (BI that is) time is over and now it is time for Tableau.” Similar quote from Anthony Deighton, Qliktech’s CTO & Senior VP, Products: “More and more customers are looking at QlikView not just to supplement traditional BI, but to replace it“. increase end users’s involvement, feedback and action discovery. It is clear that Traditional BI requires too much time, that D3 tools just trying to prolongate old/dead BI traditions by modernizing and beautifying BI approach, so my client choose Tableau as a replacement for Microstrategy, Cognos, SAS and Business Objects and better option then D3 (which require smart developers and too much development). This movement to leading Data Visualization platforms is going on right now in most of corporate America, despite IT inertia and existing skillset. Basically it is the application of the simple known principle that “Faster is better then Shorter“, known in science as Fermat’s Principle of least time. 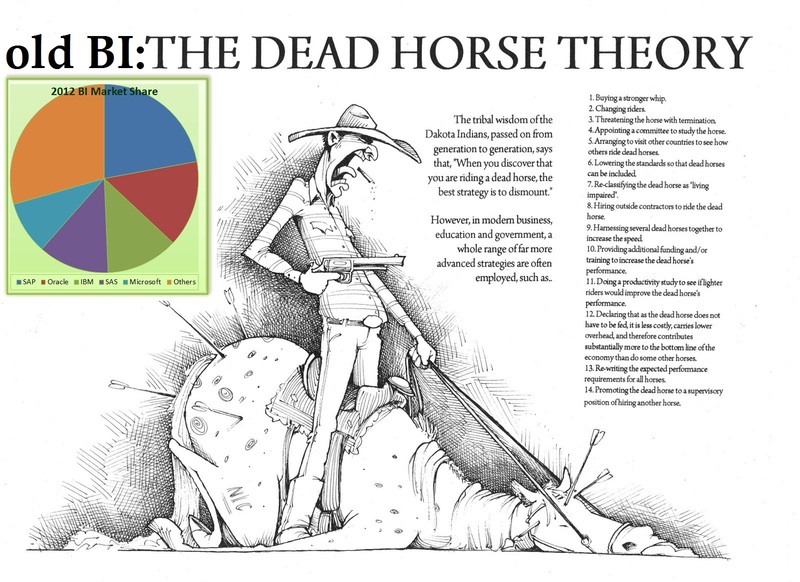 This changes made me wonder (again) if Gartner’s recent marketshare estimate and trends for Dead Horse sales (old traditional BI) will stay for long. 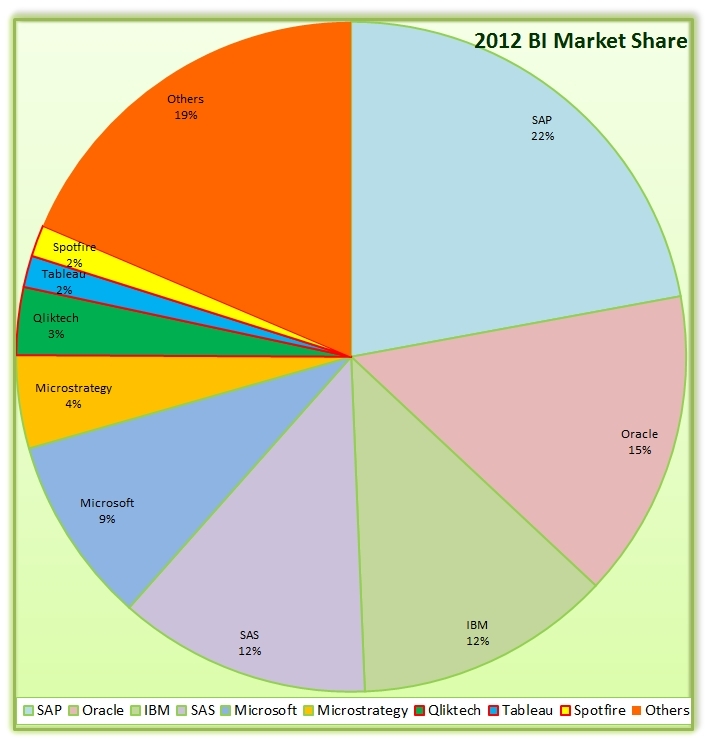 Gartner estimates the size of BI market as $13B which is drastically different from TBR estimate ($30B). 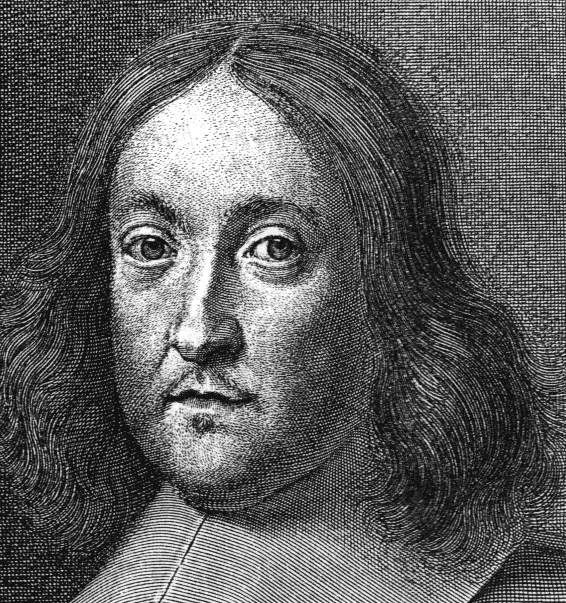 These bold predictions by leading Data Visualization vendors are just simple application of Fermat’s Principle of Least Time: this principle stated that the path taken between two points by a ray of light (or development path in our context) is the path that can be traversed in the least time. 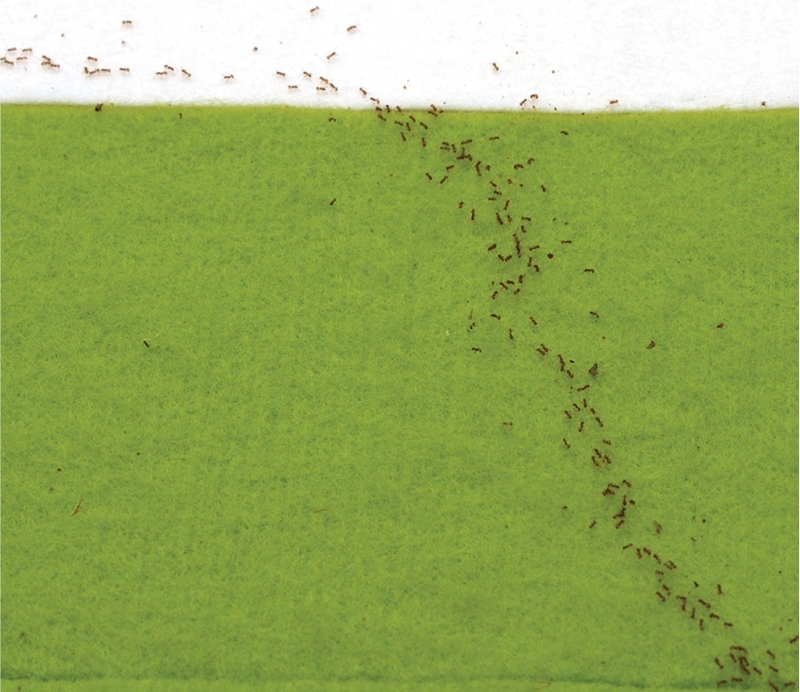 Even Ants following the Fermat’s Principle (as described in article at Public Library of Science here: http://www.plosone.org/article/info%3Adoi%2F10.1371%2Fjournal.pone.0059739 ) so my interpretation of this Law of Nature (“Faster is better then Shorter“) that traditional BI is a dying horse and I advise everybody to obey the Laws of Nature. Great article, I work in the traditional BI space and I agree with most of the points you make. The one factor I feel you are not factoring in your analysis are the end users. 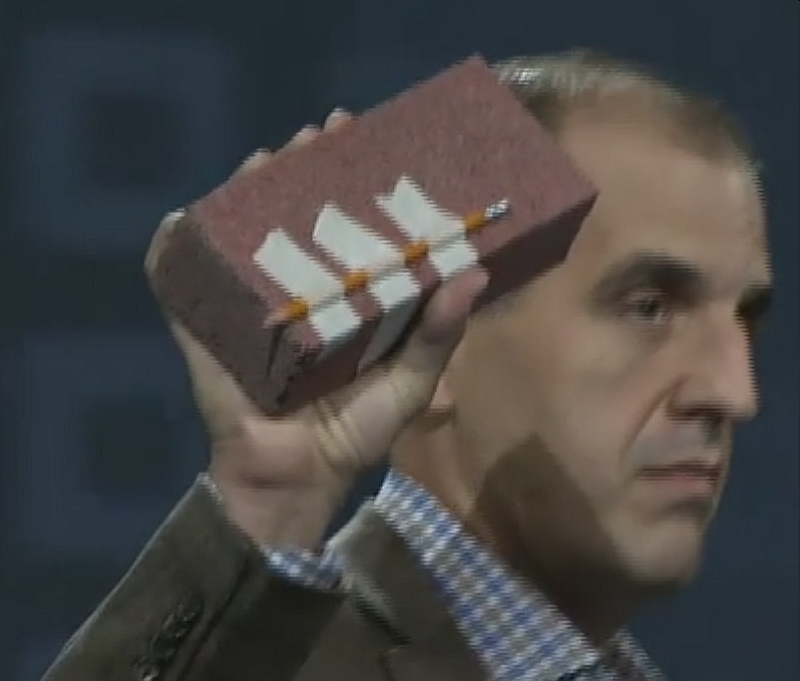 The challenge will be how to bring about the change to the thousands of existing users within a corporate BI setting. It is the same reason Internet Explorer 6 is still around. The total cost of making the switch to the newer tools is prohibitive. The approach we have taken is to allow power users to install the new age visualisation tools and pull their data from the existing traditional BI tools we use. I am working with SAP BW & BusinssObjects for past 4 years and I completely agree with you, modern Data Visualizing softwares are way ahead of way old relics like BO, BeX, Microstrategy and OBIEE. But data visualization is only one side of the story(user experience), i think in coming data we will have better software to replace existing Data Warehouses like SAP BW or TeraData with likes of Hadoops( Cloudera, Hortonworks etc) which will have real time capabilities as well. I recently got a chance to work on QlikView and i was amazed by the speed, ease of devlopoment and user experience. It is almost impossible for BO or Microstrategy(at current pace) to match the quality and features of QlikView. I have also started testing Tableau, its quite amazing and i just love playing around with it to explore data visualization possibilities. Regarding the BO to Tableau migration, I would like to know the challenges you faced? Specially with a lack of Semantic Layer(Universe) in Tabluea.